Holiday at home! This well maintained home features open kitchen/eating area with direct access to BBQ patio, bright & airy living/dining room with vaulted ceiling, centre gas fireplace, access to patio and greenspace. Master bedroom on main offers walk in closet and oversize ensuite with private toilet area. Upper floor includes full bath with private access perfect for guests. Updates include h/w tank, roof, light fixtures, carpet, lino. 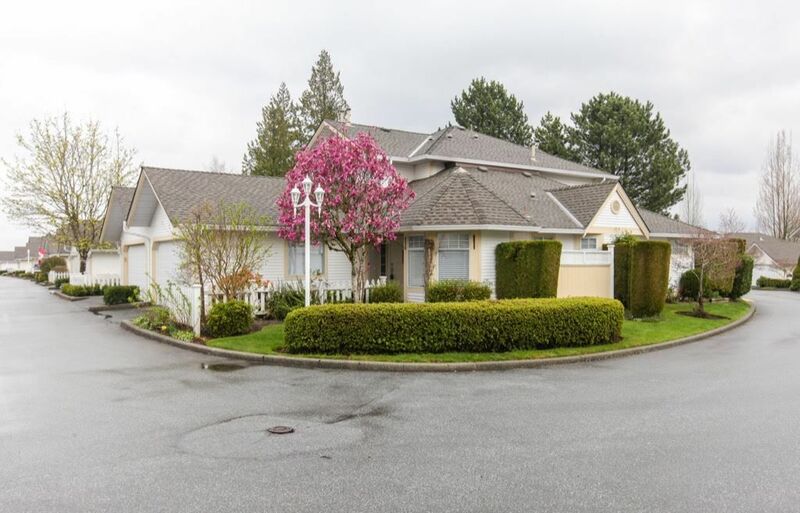 This is a corner location in phase 3 (all homes here are 1/2 duplex with double garage) complex amenities include walking trails, out door pool and hot tub, clubhouse/recreation with full kitchen, games room, well equipped workshop, library. Shops, transit and more are at street, call soon or this good buy will soon be good bye!